At the beginning of the year, we had a Troop Supply Drive where all the girls drew a card of a supply that they would bring to donate to the troop. We called it a Troop Birthday Present!! 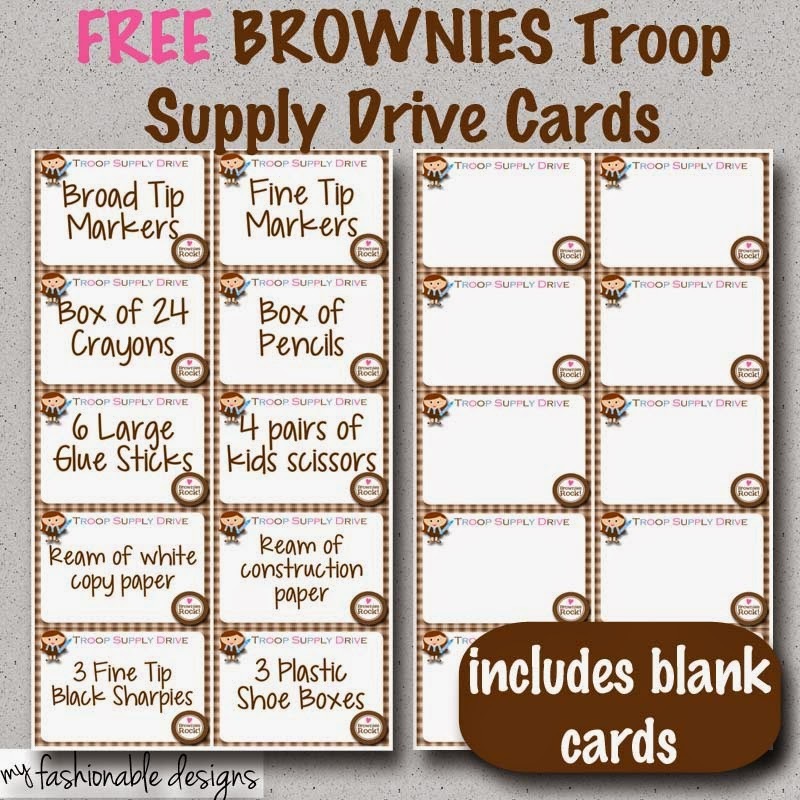 Here are Brownies free printable cards that you can use for your troop! The first page has pre-filled items and the second has blank cards that you can fill in yourself. Enjoy!!! Daisies Supply Drive cards are HERE. Mixed Level Supply Drive cards are HERE.